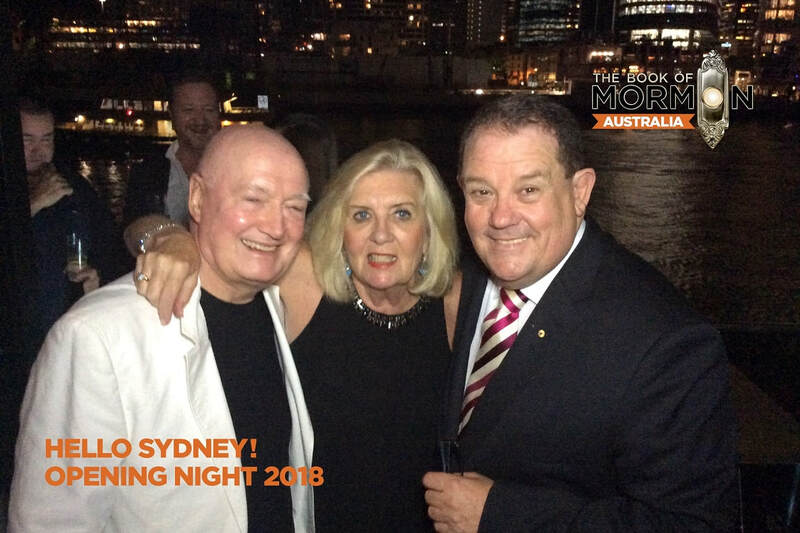 The only book that matters currently is hilariously profane and wholly hilarious, according to Helen Flanagan, who was at the Sydney Lyric Theatre for the gala opening. From curtain up the audience was in stitches as the most outrageous, cleverest, matchless iteration of a show in the Broadway musical genre unfolded. And it didn’t stop, in fact the crescendo continued to the very end. 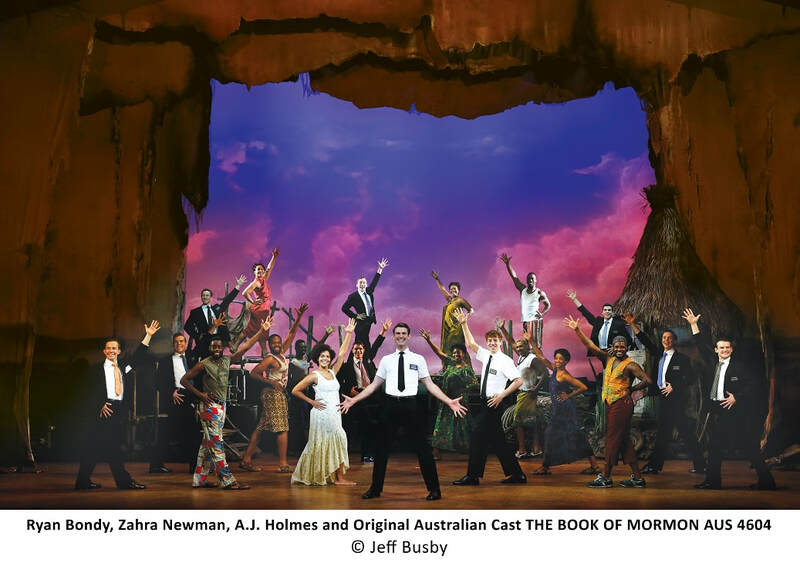 Not surprising really given The Book of Mormon is a combination of a much-maligned American religion, Disney-movie songs and the creators of South Park, a politically incorrect adult cartoon. 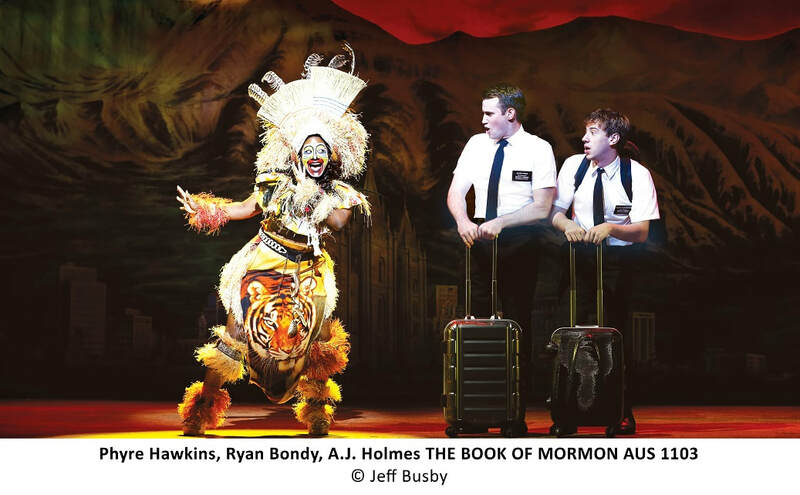 It’s a ridiculously so-wrong-it’s-right, all-singing, all-dancing, joke and double entendre-filled show about two young men who are dispatched from America to Uganda, to spread the word of their Mormon church. Is it a simple story? Yes and no. And you certainly don’t have to know anything about the Church of Jesus Christ of Latter Day Saints except young members of the church are required to go on a two-year mission to convert souls to the Mormon Church. From issues regarding religion’s inescapably oppressive nature, to the severe problem of poverty in developing nations, the show is relentlessly, albeit subliminally, disturbing and delivers line after line of big laughs. 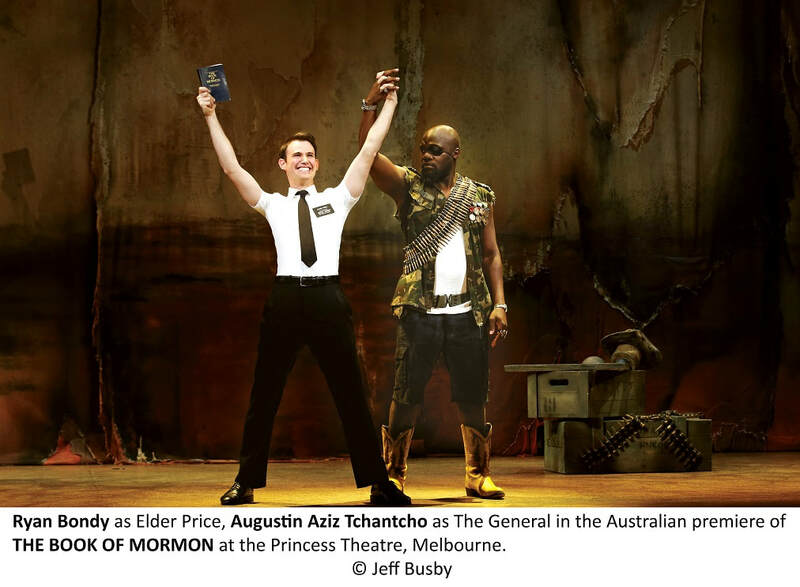 All-star Mormon Elder Price and socially awkward Elder Cunningham are paired to serve their mission in a remote village in Uganda. But there are no singing and dancing animals in this part of Africa. Instead, they encounter poverty, AIDs and a dangerous militia who plan on circumcising the village women and murdering anyone who stands in their way. Yes, it’s looking pretty dire for the duo. Can they evade the machine-gun toting militia, baptise a few souls and return to their promised land with their faith intact? Only the prophets will tell. The cast is outstanding. Ryan Bondy as Elder Price is a dazzling tenor with sharp moves; Elder Cunningham is played by A.J. 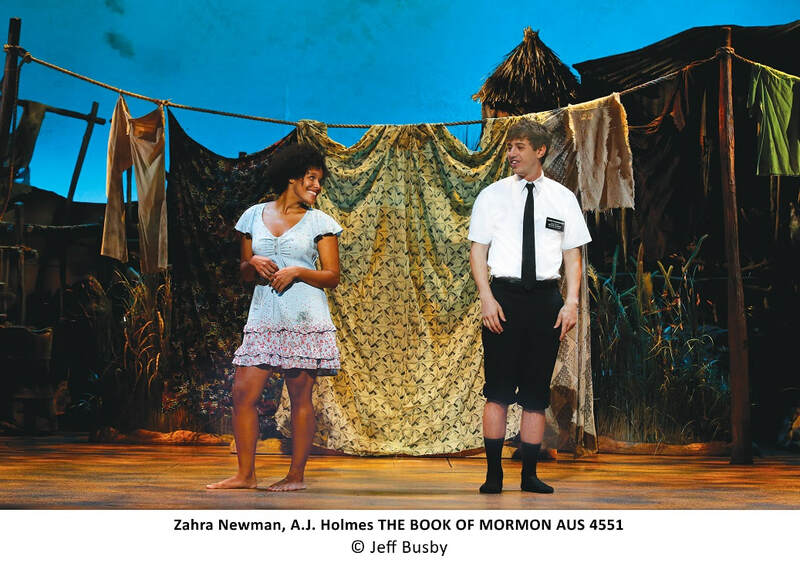 Holmes knows how to charm and has amazing zeal; beautiful Zahra Newman gives us a Nabulungi so full of spirit, and so perfectly sung; and the ensemble is brilliant. The Mormons are as strong a group of young male singers and the Ugandan villagers revel in their joyous dance numbers and acapella moments. Harmonies are on point similarly solo moments. Songs are incredibly catchy and you’ll be grooving away in your seat, even when the lyrics contain less than savoury language and seriously adult themes.